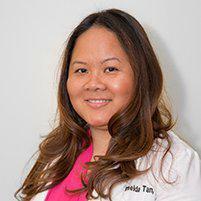 As a leading physical therapist in Manhattan's Midtown East neighborhood, Dr. Imelda Tan, PT, DPT, CES helps New York City patients alleviate low back pain and sciatica symptoms, including pain and numbness that radiates down the buttock and leg. Sciatica is a condition that causes pain and discomfort to radiate along the sciatic nerve pathway from your lower back down your leg. It most commonly occurs when the nerve root becomes irritated by a herniated disc or other condition in your spine that causes the nerve to become compressed or impinged. Sciatica also occurs during pregnancy when the expanding uterus presses against the nerves and spine. Other common causes include obesity, wearing high heels and sleeping on a non-supportive mattress. The severity of symptoms can vary significantly from one person to another, causing debilitating pain in some patients while others may have symptoms that occur intermittently or are irritating but relatively mild. How does physical therapy help alleviate symptoms of sciatica? Dr. Imelda Tan, PT, DPT, CES helps patients alleviate the symptoms of sciatica by strengthening the core muscles and back muscles to help keep the spine in better alignment and relieve some of the pressure and strain on the back and spine. She also teaches patients how to perform gentle stretching motions that can help increase mobility while decreasing painful symptoms. Because each patient experiences pain differently, Imelda performs an in-depth exam and evaluation to determine the best types of exercises for optimal results.